NOAA's Office of Coast Survey, the nation's nautical chartmaker, provides a suite of products to help make maritime transportation safe for all users. 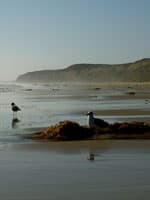 The Center for Operational Oceanographic Products and Services (CO-OPS) is the authoritative source for accurate, reliable, and timely water-level and current measurements. Explore these free NOAA products available to help make your next trip an enjoyable one. 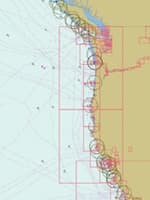 NOAA BookletCharts™ contain all the information of the full-scale nautical chart but is reduced in scale and divided into multiple pages for convenience. 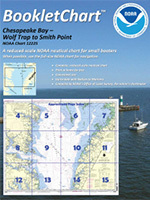 The BookletCharts help recreational boaters locate themselves on the water. Boaters like to put each page in a sheet protector and keep them handy. They are updated weekly and printable at home for free. NOAA ENCs use vector data to help provide real-time ship positioning, as well as collision and grounding avoidance. Updated ENCs can be downloaded from the NOAA Chart Locator or from this list. With NOAA Tide Predictions, generate a graphical display or a tabular listing of daily high and low tide predictions for more than 3,000 locations around the nation. Predictions may be generated up to two years in advance. The Center for Operational Oceanographic Products and Services (CO-OPS) produces this product. NOAA Custom Chart is an application that enables boaters to define the scale and paper size of custom-made nautical charts centered on a position of their choosing. 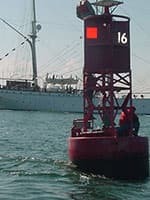 Once the functionality of this prototype is fully developed, NOAA Custom Chart will be an easy way for boaters to create a paper or digital back-up for the electronic chart system or other GPS-enabled chart display that they are using on board. 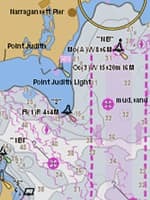 The United States Coast Pilot® expands on the information on nautical charts and provides sailing directions for U.S. coastal and intracoastal waterways and the Great Lakes. 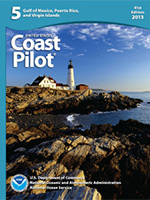 Within its nine volumes of supplemental information, the Coast Pilot provides information from channel and wharf descriptions to weather and ice conditions. Coast Pilot updates are continually posted on its website. With NOAA Current Predictions, obtain tidal current predictions for more than 2700 tidal current stations nationwide. The Center for Operational Oceanographic Products and Services (CO-OPS) produces this product. On the water and need information in near real-time? 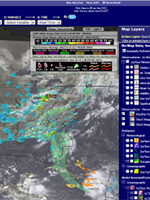 NOAA's nowCOAST™, a web mapping portal, provides access to observations, forecasts, imagery, and geo-referenceed layers for all regions of the U.S. NowCOAST is updated at regular intervals throughout the day so boaters can stay aware of the ever-changing environment. Understanding nautical charts is critical to navigating waterways. The U.S. Chart No. 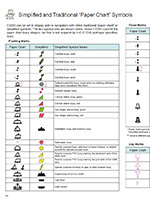 1 provides descriptions for the symbols, abbreviations, and terms found on both paper and electronic navigational charts. It’s fun to learn the history of where you’re sailing, and studying old charts sometimes reveal histories you never suspected. Our Historical Map & Chart Collection has more than 35,000 images, covering offshore and onshore sites. 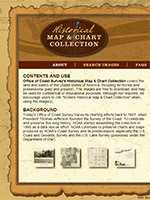 They include some of the nation’s earliest nautical charts, bathymetric maps, city plans, and even a special collection of Civil War maps, charts and sketches. Teach kids about nautical charting or even learn more yourself with NOAA’s educational activities and videos. 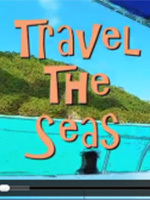 Travel the Seas, an animated primer on nautical charts, is a great way to get started! NOAA's U.S. Chart No. 1 explains all the numbers and symbols found on both paper and electronic nautical charts.